Are you looking for a dimmer switch for LED lights? A dimmer switch will enable the user to control the light level within a room or building. This is beneficial in the home to set the desired mood or enhance the experience when watching a film. The ability to dim the lights can be an important requirement for commercial environment, such as restaurants, offices and cinemas. Dimmers generally operate by altering the phase of the wave by chopping out parts of the voltage which reduces the power to the light bulbs and consequently the light level. The main two types of phase control are classed as ‘trailing-edge’ and ‘leading-edge’ with the leading edge being the most popular for traditional bulbs. Leading-edge: inductive loads (e.g.. magnetic low voltage transformers), resistive loads (e.g.. incandescent). Leading-edge dimmer switches are cheaper and simpler than trailing-edge and generally not suitable for led lighting due to the fact that they use a ‘TRIAC’ (Triode for Alternating Current) switch to control power. In contrast to incandescent bulbs, which are all dimmable by default, LED bulbs contain a built-in driver in their base. The driver converts AC power to DC power and maintains a constant current to the bulb. These differences can cause conflict with a phase control dimming system, since the driver attempts to compensate for the sliced out portions of input voltage and flickering occurs. In addition traditional leading edge dimmer switches have a relatively high minimum load such as 50W which means that even when turn to the minimum, they are delivering much more power than is required for LEDS operating at 4W. Trailing-edge dimmers are more complicated than leading-edge dimmers and therefore generally more expensive for models that on the surface look identical. Internally the electronic circuitry consists of a MOSFET (Metal Oxide Semiconductor Field Effect Transistor) or IGBT (Insulated Gate Bipolar Transistor) switch in contrast to a TRIAC. This enables the user to benefit from soft start, smooth, silent dimming control, zero buzzing noise. In addition most trailing-edge dimmers operate at a lower minimum load such as 10W and in some cases 0W. This gives a much more usable range for LED lights. It is important to remember that not all LED bulbs are dimmable and only bulbs that are specified as dimmable should be used. 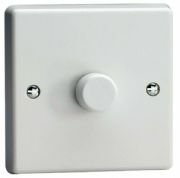 We stock a range of dimmer switches produced by UK manufacturer Varilight. Varilight V-pro and Eclique range of switches use an intelligent internal processor that enables the maximum and minimum brightness levels to be adjusted for the given range according to the users needs. The device also enables soft start and if required can be set to a leading edge or trailing edge depending on the light. Not only do these features help to extend the life of the bulbs they enable quiet dimming and also save energy due to the filtering of the wave. 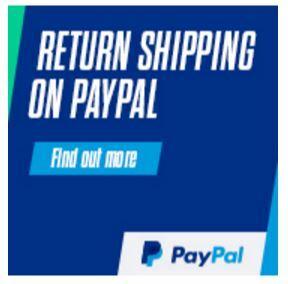 Varilight offer a range of products that can be controlled by infra red remote control. This means lights can be turned on an off or even dimmed without having to leave your seat. While this allows for easy living it is also beneficial for situations where accessing the light switch may be difficult. As the technology uses infra-red it is not necessary buy separate remote control, as an existing TV, Sky or similar can easily be programmed for use. As infra- red operates on line of site it is advisable to allocate a button that is not or rarely used. Some universal remotes allow a user to switch between dvd, sky, tv, video, radio etc. All our Varilight dimmers come with a soft start feature as standard. This means that the current is delivered to the fitting smoothly and gradually rather than all the rated current instantously. This is particularly important with LED lighting that operates at a much lower wattage than traditional lighting. It is possible that led lighting may appear to blow or even trip the fuse if too much power is received quickly. If the led light comes on with a flash and then off it is likely the switch is delevering too much power and overloading the LED. Soft start is also benefical where a light fitting consumes a high amount of power which can also cause a fuse to blow or Residual Current Devices (RCD) to trip if current is drawn too quickly, due to an 'electrical spike' or suspected fault condition. We stock a range of dimmer modules specifically suited for led lighting manufactered by Varilight, British General and Aurora. A dimmer module is perfect if you would like to switch to led lighting but do not want to change your existing dimmer surround or switch plate. These products simply can be insereted to your existing dimmer switch case or fitting. The Varilight modules of the same intelligent dimming features as the V-Pro range and can operate in both trailing edge and leading edge modes. The British General and Aurora are similar to traditional dimmer switches but also led compatible operating within a lower wattage range and delivering a smooth output current. These features help to prevent flickering that typically occurs if a traditional dimmer is used with led lighting.